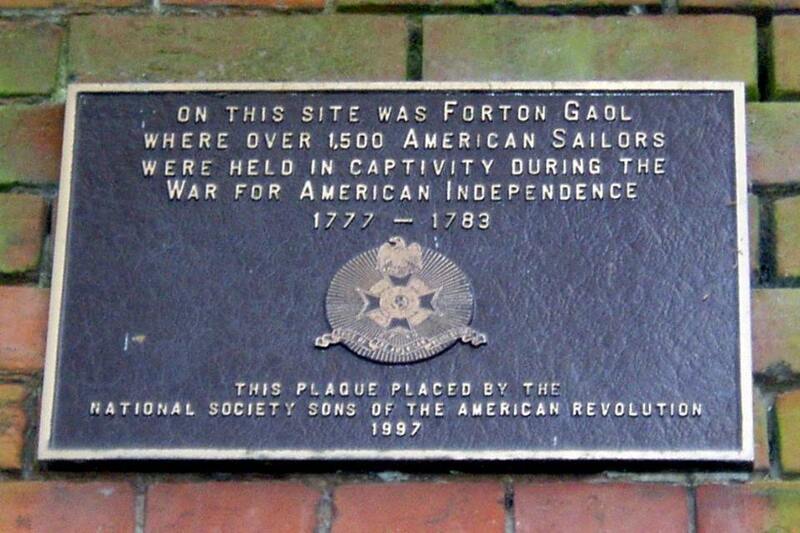 Today in Gosport’s Past:- on 13 June 1777, the first American prisoners-of-war arrived at Forton Prison. 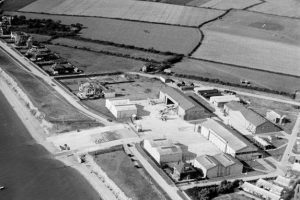 At this time, the prison largely consisted of what remained of Fortune Hospital – described earlier as ‘a shambles no more than a clutter of tumbledown shacks, …..an unhealthy straggle of wooden huts and unsightly buildings’ built c.1713 (possibly earlier) by Nathaniel Jackson, which had its use altered from a hospital to a prison since 1753, when Haslar Hospital opened. This ‘prison’ was later rebuilt as a PROPER military prison, but in 1777, conditions & accommodation were pretty basic, surrounded by an 8ft picket fence. These first inmates were American seamen captured by the British during the American Revolutionary War (aka the American War of Independence) 1775-1783. Many of these first prisoners arrived in rags, with no shoes or socks, and had nothing but boiled cabbage fed to them for the first couple of days. Conditions were appalling, and many escapes took place, although steps were taken at the end of the year to improve matters. Between June 1777 and Summer 1783, some 1,500 prisoners were interned here, of which around 534 escaped (mostly briefly), and during this period ‘only 69 died’. 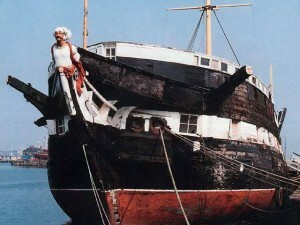 All were released with a free pardon from the King in the Summer of 1783.